THe Israel Bible is approximately 14 Inches by 11 inches by 4 inches. What is the Israel Bible? The Old Testament? What is the difference between The Israel Bible hard cover edition and The Israel Bible Complete set? The Hardcover edition is all in one volume. The complete Set is a separate volume for each book. Hi I would love to have this Bible! Is the 53rd chapter of Isiah included ? Brother how I will get the Israel bible ,please tell me . Thank you . Click “Add to cart” and then check out. It will be shipped to you! Does this very special Bible include Isaiah 53??? Does the Bible include the New Testament? No. The New Testament is a part of the Christian Bible. The Torah is the first 5 books of Tanakh (Tanakh includes Nevi’im & Ke’tuvim. In fact, the Torah has a different translation & interpretation than the Christian Old Testament. For example, in the Garden of Eden, Chava (Eve) & Adam’s origin story is different than what is in the Old Testament. We don’t believe in the “original sin”. I have the Israel Bible, and I am thankful for all the notes and explanations. Since I already have my Israel Bible, how can I obtain the e-Book? Is the price $59 for each book of the Torah? The price is for the Entire Israel Bible. All 24 books included! The payment will be processed in US funds. It will ship from Israel or our warehouse in the US. Will this Israel Bible be the Hebrew Bible? And will it include the 24 books of the Tanakh? Last… Am I able to Buy One Hard Cover and What is the Cost? Yes – The Israel Bible is 24 books of the Tanakh. It only comes in hard cover and the costs are above on the page. 5 out of 5	I bought the Israel Bible I, in the fall and I absolutely love it! Best Bible ever! I bought the Israel Bible I, in the fall and I absolutely love it! Best Bible ever! Is the electronic book available for those who recently bought the Bible? There seems to be one version with many books, I wonder if that is another version than the one you are selling. This one is the complete Israel Bible. For individulal books of THe Israel Bible, please see here. It is in Hebrew and English. What’s the shipping options I may have if I order this? I am in Taiwan. Is there an Express option? thanks for your reply. We only offer standing shipping which should arrive within a period of 10 days. 5 out of 5	It is very nice! Is there a way to purchase a copy of both the old and new testament Israel Bible? Shalom Cathy – no, we as Jews we only sell the Tanach. Is there a large print Israel Bible available? Shalom Vicki – unfortunately, it is not available in large print. At last I have a translation written by one who speaks Hebrew as their “native” language. The notes throughout the book and the sections where Hebrew is also written using English letters is very helpful, especially as I am trying to learn Hebrew. I will consider it to be the best buy ever. Thank you. It appears that you do have a Kindle version…on amazon. Shalom Cheryl – we do not currently have a Kindle version prepared. Is this the Israel Bible 70th Anniversary Edition in both Hebrew and English? What is the shipping cost to New Delhi, India? Does the Bible come in leather or soft cover? Are any plans in effect to publish a Spanish version of this Book? Shalom Anibal – not at this time. If you know anyone who would be able to sponsor a Spanish edition, please reach out. Is the Israel Bible available in the UK? & what books are contained in the Israel Bible? is the whole bible have the english as well as the transiteration, or is it only certain words? Shalom Enase – the whole Bible has English. Only select verses are transliterated. From where do I buy this ISRAEL BIBLE in KENYA _EAST AFRICA. Shalom Felix – the Bible is only available for purchase online. 5 out of 5	" De Sión vendrá La Toráh"
SHALOM!! Yo bendigo a Israel, a su Tierra, a su gente, a su ciencia, a sus frutos, bendito sea Israel, bendita su Toráh. Soy orgullosamente Judío y vivo en Chiapas México. I would like to know if you have this Bible in Spanish? It’s easier for me to understand it in my native language. Thanks! What about cost of shipping to Jerusalem? Or, is it possible to pick up book in Israel without additional cost? You can pick it up at our offices in Bet Shemesh. Please contact us below to arrange a time. Does it Contain the New Testament?? The Israel Bible is the Hebrew Bible which contains 24 books of the Tanakh. It does not include the New Testament. Israel365 is a Jewish Orthodox organization and does not publish New Testament related materials. How big is the font? I am old and it is difficult to read little print. Is the shipping available for India? Yes, the Israel Bible is available for shipping to India. Thank you! Is this basically the books of the Old Testament as we know it? Yes, the Israel Bible is the Hebrew Bible containing 24 books of the Tanakh – Old Testament as you know it. Thank you! Is this bible available in the UK or just the US? This Bible is available for shipping to UK as well. Thank you! At the moment we do not have The Israel Bible in Spanish, but we hope to have it translated in different languages in the future! When you add it to your cart, the total shipping amount is updated at checkout. This product by itself would be $25 for shipping. In The Bible, there are 39 books in the old testament you say this only has 27. Which twelve are missing? Is this the Israel Bible available in Brazil? Shalom Timoteo, Yes the Israel Bible is available for shipping to Brazil. Thank you! Is this bible available in New Zealand? Yes, the Israel Bible is available for shipping to New Zealand. Thank you! At the moment the Israel Bible does not come in a giant print. Thanks! Can I send a check for purchase? If so where and to who? Thanks. I follow 365 daily and have learned much! We are very glad to hear that you are benefiting from our Daily Inspiration Emails. And we appreciate your review! Yes you can purchase at Israel365 Store with a cheque payable to Israel365. Please include a note about the product you wish to purchase and your complete shipping address. And include the shipping cost in the cheque. The cheque can be sent to either of the two address: Thank you! Hi, is there a difference between your anniversary hardcopy on your website compared to the hardcopy sold on Amazon? I noticed its cheaper on Amazon. Shalom Eileen – there is no difference. Amazon is an important platform but we don’t make as much money on a sale from Amazon as we do on this site. By what is the size of the holy bible? Do you have a sample of the print size. Or a sample page so I can further evaluate if I can read it as my sight is somewhat compromised by cataracts. Thank you. Sure you can see the image samples on this page at the top. Several images have been added in the gallery. Thank you! Perhaps, this is already on your website but I have not seen it. I received your new bible on Tuesday and like it very much. However, why is there no trope-cantillation notes? Does it come ina giant print version? That is a great question! I will pass on the recommendation to the editor. Thank you! Is the shipping available in the Philippines? I AM looking forward to receiving it. Thank you so much! Where do I buy The Israel Bible in South Africa? The Israel Bible is not available in South Africa but you can purchase online here: https://www.israel365.com/store/books/israel-bible-70th-anniversary-hardcover-edition/ Thank you. The Israel Bible will not be available in South Africa. However, you can buy it online and we’ll ship it to. Thanks! How does this compare to Stone edition of the Chumash available by Artscroll?? The Israel Bible is unique, as t is the world’s first Tanakh, Hebrew Bible, to highlight the special relationship between the Land and the People of Israel. Through traditional and contemporary Jewish sources, The Israel Bible seeks to present God’s eternal and unchanging love for the Promised Land and His Chosen People from biblical times until today. Escutem, por acaso não dava também para a fazerem na tradução da língua Portuguesa? Lamentavelmente não sei ler na língua inglesa. Como nós lhe agradecemos antecipadamente o fato de tentar emitir na língua portuguêsa. Atualmente não o temos em outras línguas, mas esperamos tê-lo no futuro! The Israel Bible is in Hebrew with linear English translation and also has transliteration on some verses. This Bible is worth every penny. The footnotes at the page bottoms are so informative. There have been many eye openers. Love it. I’ve had The Jewish Study Bible for years. How is this Bible different? The Israel Bible is unique, as it is the world’s first Tanakh, Hebrew Bible, to highlight the special relationship between the Land and the People of Israel. 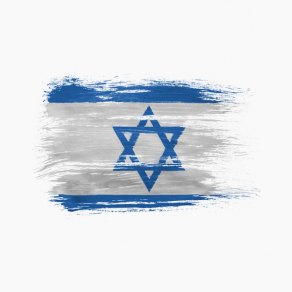 Through traditional and contemporary Jewish sources, The Israel Bible seeks to present God’s eternal and unchanging love for the Promised Land and His Chosen People from biblical times until today. Read more at https://www.israel365.com/store/books/israel-bible-70th-anniversary-hardcover-edition/#VGI2b1VqZd7gK7SB.99 Thank you! With great pleasure and proud I can tell you that I have received the Israël Bible. What a wonderful moment to recognise that after all those years of exile Hashem has blessed His people for bringing them back and evenmore to let them write the Israël Bible, so the prophesy of Isaiah 2:3 and Micah 4:2 became truth: “For instruction shall come forth from Tzion, The word of Hashem from Yerushalayim. I am thrilled that Hashem has made His words true and that I am one of the witnesses to see that He has bring back His people in His land for seventy years now. Thanks you so much for sending me this wonderful and joyful Book of Books, I will cherished it with all my heart. is there a LARGE LETTER ADDITION easy to read ? Currently we have the font sizes English – 10pt, Hebrew – 11pt, Commentary – 8pt. I’ll forward the suggestion to the editor. Thank you. 5 out of 5	Wonderful new "TaNaKh"
We are excited and happy to receive our own personal copies of this wonderful new “Tanakh” straight from Nachal Ein Gedi, Ramat Beit Shemesh, the worlds first Bible highlighting the G-d of Israel, the Land of Israel and the People of Israel. A must have for every serious student of the Word of G-d. With its exclusive collection of maps, charts, and illustrations it brings the Land of Israel to life, the study notes from the wisdom of the Sages and their commentary highlighting the role of the State of Israel in the fulfillment of biblical prophecy is very helpful, We love the Hebrew text and their transliterations a very easy read for beginners who like to learn to read biblical Hebrew. Thank you Rabbi Tuly Weisz and the whole staff of Israel 365 and to those who helped support its making. I am a Catholic priest, and long ago, in seminary, I struggled with ancient Hebrew (and Greek for the Christian Scriptures) and was able to make quite a bit of sense of the Hebrew text. Then I began work as an ordinary priest working in parishes in England and California and was overwhelmed with the everyday needs of people crying out for God. I let my studies slide a bit, and my Hebrew grew rusty with little use. Every now and then I’d sit down and open my 1929 Hebrew Bible and read – haltingly – a bit of the sacred text. Then along comes The Israel Bible and I get a First Edition! Text – both Hebrew and English – commentary, notes, maps, all clean cut, well presented, and a joy to read and study. As I struggled with the Hebrew text to start, it suddenly began to open up and I noticed that I was referring to the English text less and less, and beginning to see beyond the text to “God, the Land, and the People”. I have visited Israel many times in the light and understanding of the Christian scriptures, and with the Christian interpretation of the Hebrew scriptures, but the next time it will be with the light of God’s word as revealed in the Hebrew text of The Israel Bible. The Israel Bible costs about 914.50 in Rand. Thank you! What books of the Bible does it cover please? Hi Beverly, the Israel Bible contains the 24 books of the Tanakh; 5 books of Moses, Prophets, and Writings. Hello! Is there any French version of this Bible? Hi Michele, at this time, The Israel Bible is only available in Hebrew and English. We hope to have it translated into many more languages in the future! Does the Israel Bible contain old and new testaments of the Bible? I am so delighted and excited to received the copy of this book The Israel Bible today 18 June. The Israel Bible is the Hebrew Bible containing 24 Books of the Tanakh. It does not include the new testament. Hi, I would like to have and read this Israel Bible, but I am afraid I couldn’t get it. Can this Bible be shipped to Indonesia? Thank you. Good news! We ship the Israel Bibles from USA also, therefore you will be able to receive in Indonesia. Thank you! How much total cost if the Israel bible shiping to Indonesia. Thank you. Shalom! may I know how much total cost if the Israel bible shiping to Japan. Thank you. The total cost of the Israel Bible with shipping would be $83.00. The delivery time should be about two weeks. Thank you! There should be no problems in shipping. Thank you. Is the English translation new,directly from the Hebrew text or is it the same as NKJ or KJ translation? The Hebrew language is much richer than our current English translation. Hebrew words can have more than one meaning and combinations of words can make a difference too. That’s what I am looking for! Hope this is the one for me! Does it have large print? This hard cover 70th Anniversary Israel Bible is an Heirloom beautifully made thick book! nice white pages much better than I expected you need to buy it to see it well worth the money looks like a Family Bible that should be put on the coffee table easy to understand Hebrew is on the right side of the page English on the left side. Take Advantage of this Great offer you won’t be disappointed! Does this Bible have the concordance? We have Index containing the names of people, places and concepts mentioned in the commentary of The Israel Bible. From page no. 2171 to 2175. Thank you! The Israel Bible is Hebrew Bible with linear English translation and transliteration which helps you learn Hebrew while reading the Bible. love it . i feel its the best bible i’v got , i also have an NKJ . This Bible is such a blessing to my husband and myself. We so enjoy it. The footnotes are a wealth of information and we are learning so much. We are indebted to Rabbi Tuly for putting together a wonderful team to produce this volume. It comes highly recommended from us. In e-format a great addition to e-book library & my kindle ❤️! An e-book format!? Didn’t know that…definitely will look into it! If you believe in a God, search no further this is the book of books, the people at Israel365 have done a marvelous job if you are looking for a translation of the holy Torah go for a recent translation of the same by Rabbi Aryeh Kaplan its one of the best I’ve so far read, it was suggested to me by one of the friends of the famed Bnei Brak Rabbi Elizer Shach. Where can I purchase this bible in USA? You can purchase the Israel Bible online here https://www.israel365.com/store/books/israel-bible-70th-anniversary-hardcover-edition/ and we will ship from USA address. This will take over a week to reach you. Thank you. When is this Bible available for delivery? The Israel Bible is currently available for delivery. Thank you! The Israel Bible is the Jewish Bible and does not contain new testament. 5 out of 5	My review of The Israel Bible. I enjoy reading The Israel Bible because the translation is very good and the footnotes are helpful in understanding how the Jewish people relate to the land and to the promises of God. It has given me a greater appreciation of God’s plan of redemption. Is the Bible available as download- online version? When is the PDF (eBook) version going to be available and will it be offered at a reasonable price? Does this Bible include the new testament? The Israel Bible is the Hebrew Bible containing 24 Books of the Tanakh including the 5 books of Moses (Torah). It does not include the new testament. Thank you! The Israel Bible is the Jewish Bible and does not contain the new testament. Do you have this Bible in Spanish? 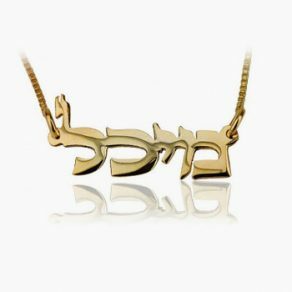 Is there a transliteration as well as the Hebrew and English? Hi Karin, yes the Israel Bible is Hebrew Bible with linear English translation and there is also transliteration on some verses which helps you learn Hebrew while reading the Bible. Then, I will wait the french translation! At this time, The Israel Bible is only available in Hebrew and English. We hope to have it translated into many more languages in the future! The print size is Medium. I would like to see the set up of the script. I am either going to buy this bible or the Chumesh. I am trying to learn Hebrew. Is the English translation of the word directly under the Hebrew? l would love to see a page of the Bible too how can we see it please? Hi Helen, you can see how the pages look like in the preview images at the top of the page. Please click on the second image in the row. Thanks! Hello, One of the product images is a scan of a page taken directly from The Israel Bible. The print size if Medium. Will there be a german translation of The Israel Bible 70th Anniversary Hardcover Edition? And if there will be one will it be available for Buyers through Amazon.de ? There are some verses that have transliterations over 1000 in number. Thanks! Is it available in leather bound? The Israel Bible is not available in a leather-bound at the moment. Is The Israeli Bible really the 5 books of Torah, Hebrew w translation and transliteration? It’s not just a good book about Israel is it, please? The Hebrew text in the Israel Bible has nikkud, a system of diacritical signs used to represent vowels or distinguish between alternative pronunciations of letters of the Hebrew alphabet. Thank you! Yes, the Israel Bible is a hardcover edition that contains the complete set (the entire Tanakh) in one volume. What are the dimensions and weight of the book . For old hands? What is the font size in points? In the printing trade, there are traditionally 72 points to the inch (= 25.4mm). thus 1 point = 0.35278mm. Examples: 10-point type is 3.5mm high, 12-point type is one sixth of an inch (=4.23mm) high, 18-point type is a quarter of an inch (=6.35mm) high. Both 10-point and 12 -point type were common on the old manual typewriters. The font sizes in points are: English – 10pt, Hebrew – 11pt, Commentary – 8pt. Thank you! The Israel Bible is 9.7 inches in length, 7 inches width, 3.2 inches thick and weighs 5 lbs. Thank you for sharing the passage from your new Bible. I have my own opinion about how the passage should read and it’s from a Christian perspective. I understand the Jewish traditional interpretation of this passage, yet some Jewish and Christian scholars don’t agree with it besides myself. For those who do subscribe to the Jewish traditional interpretation, this Bible has the reputation of being the latest and the best in translation and commentary. May God bless you as you continue to publish and share His Word with others. Can you share a passage from your new Bible? How does Daniel 8:9-14 reads in English? I want a little preview as to how well this new Bible is translated before deciding to order it. Yes, The Israel Bible can be shipped to Australia. I would love to buy. It is going to be an extraordinary product because of what is happening around the world! At what total cost could this Bible be made available in the UK? Is it $59 in US dollars for one whole book of 24 books of the whole TNK ? Another question is the protection of the book during shipping. Is it enough to protection the book from hurting the corners of the book ,for it is heavy.Thank you. Yes, it is the entire Tanakh you pay $59.00 for. The product is packed carefully to avoid damage during shipping. What is the font size for reading? The font size is MEDIUM. The Israel Bible is only available in 1 font size – Medium. Is this bible written in English? The Israel Bible contains the original Hebrew text, an English translation and even transliteration on some verses. What is the content of the Bible? I Is it from Genesis to Revelation? The Israel Bible contains the entire Tanakh. It does not contain the new testament. What is the ISBN number please? what size font is it and how much does it weigh ? i have arthritis and not sure i could handle a heavy book ? The Israel Bible is only available in 1 font size – Medium, and is 9.7 inches in length, 7 inches width, 3.2 inches thick and weighs 5 lbs. The Israel Bible is not available in South Africa, but you can purchase online and we will ship to you. The shipping time is approximately 2 weeks. Thank you! I would like to purchase in israel without paying for shipping. Where and when can I purchase? Thanks. why is there no reference to new testament in the bible ? How to place an order since you accept only dollars? Please let me know? My transactions in India is done with the SBI debit card! You can change the currency in Rupees during the payment process. You can change the currency of payment to rupees when you in the process of payment online. IT WILL BE PRAISED, AND A INSPRARATION TI ALL, AND COME ALUVE AS YOU READ IT ALL. how many pages? what are the measurements ? WOW! That’s a big book. Rightly so. does this bible have some of the old testament books in it ? Yes, The Israel Bible contains all the 24 Books of the Tanakh (The Hebrew Bible). is this the whole Bible, including the Brit Hadasha? The Israel Bible does not contain Brit Hadasha. It contains the 24 Books of the Tanakh (The Hebrew Bible). According to the description is seems to contain 3 texts, Hebrew/English/Transliteration. How is it formatted? Is the English right under the Hebrew as in a Interlinear? Is there any way to see an example page(s)? Shalom Martin – The Hebrew and English are side-by-side. Only select verses are transliterated. There should be sample images towards the top of the page. what is the font size of the printed letters? Is the cover we see a slip cover? I saw this Bible on another webiste and it looks like a blue Bible hard back..Just wondering. Yes, it is a hardcover edition with a dust jacket (outer covering). Will this Bible be available in Australia? This beautiful Bible should join – if not replace – coffee table bibles worldwide. It provides insights about the central theme of the Jewish Bible, that God designated the Land of Israel to the Jewish People, and introduces sources from the time of Joshua to the times of Benjamin Netanyahu. How exciting to have a Bible like this available. 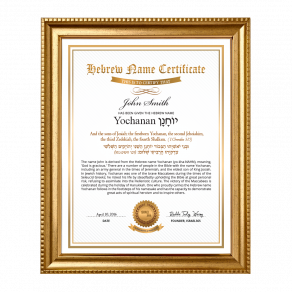 I live in Yerushalayim and would like to pick this up in person. Is that possible? Please contact us to arrange a visit to our offices in Bet Shemesh where it is available. Does the Israel Bible come in large print? Hello friends, Is this shipping from israel..?, and Is this Also available in the USA..? Does this Bible have all 66 books of our Bible in it? The Israel Bible contains the entire Tanakh. It does not contain the 66 books of the new testament. How many books of the Bible is in this Book? The Israel Bible contains the 24 Books of the Tanakh (The Hebrew Bible). I am in Israel until 20th June. Can I go and collect the Israel Bible directly? And if so, can you let me know the location and address where I could collect the Bible? I would really be grateful if you can reply to me. Fantastic !! I was wandering , is it New Testament in all so ? FOREVER !!! And that means, “FOREVER ,, and no one can change that. Thank you Katarina! The Israel Bible does not contain the new testament. It is the Hebrew Bible containing the 24 Books of the Tanakh. There will be shipping both from Israel and from the United States in order to expedite the shipping process. does this cover the complete set?